illustrated visions of aa allen, william branham, dumitru duduman, David E Taylor, Ken Peters , john mcternan, john kilpatrick, Henry Gruver, tom deckard, john paul jackson, about the destruction of america by russia and the timelines leading to the last days tribulation and the return of jesus. i am an artist illustrating visions from the lord given to prophets and ministers. Thank you for your support. Sign of the Woman Revelation Begins September 2017 Final Warning is here !!!!! 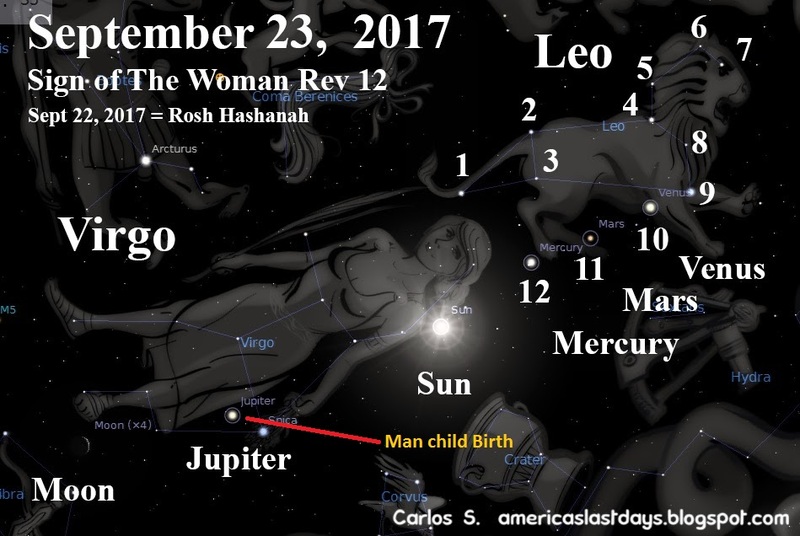 On September 23rd 2017 there will be a sign in heaven that fulfills revelation chapter 12 a great wonder in heaven a woman clothed with the sun and the moon under her feet and a crown of 12 stars giving birth to a man child giving birth to Jupiter. This event unlocks the meaning of revelations and will start a sequences of events that will begin from the year 2017 and lead to the beginning of the tribulation around 2025 or 2030 but within our lifetime. Revelation chapter 12 begins with the sign of the Woman on September 2017, now we can follow the fulfillment of scripture with events on earth from that time forward. The woman Brings forth a man child king which is caught up into heaven and begins the first half of the tribulation as she runs into the wilderness for 1260 days. This event is a rapture of select young men and woman born from the church and begins the 7 year tribulation but the church will endure the tribulation. The sign of 2017 signifies a time of world collapse and war during that time followed by the sign of the dragon which signifies a falling of 1/3 rd of angles to the earth. This is clearly a falling of angles to the earth which will lead up to the sign of the birth of the man child and the beginning of the tribulation After which time 1260 days the dragon will fall and have 3 1/2 years to export 666 and make war against those in Christ. assembling all Muslim nation to march to Israel to make war and even fight against the coming of Jesus.